The Illinois Department of Natural Resources' (IDNR) Division of Education sponsors educator workshops through the ENTICE program. These workshops offer Professional Development Hours for teachers. Please register for workshops through the link shown with each workshop description. A nonrefundable registration fee is required. The fee is $10.00 per person plus a $1.00 convenience fee per registration unless stated otherwise in the workshop description. Should you have questions about workshop registration please email (dnr.teachkids@illinois.gov) or call (217-524-4126) the IDNR Division of Education. Should the IDNR cancel a workshop, registrants will receive a credit certificate toward registration at another workshop of the same type (on site or online). Some restrictions apply. ENTICE workshops are available to teachers, home-schooling educators, nonformal educators and youth-group leaders in Illinois only. Time(s): 9:00 a.m. - 3:00 p.m.
We see birds nearly every day. They are accessible to learn from and can be enticed to come to your school yard. They can instigate curiosity in young learners. How do you teach young learners to observe and learn about birds? At this workshop, we’ll provide you with activities, resources and hands-on experiences to help you teach about the birds around your school. Relevant correlations to Next Generation Science Standards and Illinois Early Learning and Development Standards will be provided and discussed. Although targeted to educators of grades prekindergarten through four, educators of other grade levels are welcome to register but may need to adapt the materials as appropriate. Professional Development Hours are available. Sponsored by the Illinois Department of Natural Resources, this workshop is part of the ENTICE (Environment and Nature Training Institute for Conservation Education) program. REGISTRATION FOR THIS WORKSHOP IS CLOSED. IF YOU ARE INTERESTED IN ATTENDING THIS WORKSHOP, SEND A MESSAGE TO DNR.TEACHKIDS@ILLINOIS.GOV STATING THAT YOU WOULD LIKE TO BE ADDED TO THE WAITING LIST FOR THE APRIL 27 WORKSHOP AT THE MORTON ARBORETUM. Explore the hidden world of pollinators and their unique relationship with the plants they pollinate. We'll take a hike to look at native plants and their pollinators in action. You'll experience hands-on activities that can be instantly implemented into your curriculum, too. Although targeted to teachers of grades kindergarten through four, all educators are welcome to register for this workshop but may need to adapt the materials for their students, as appropriate. Supplemental resources will be provided. Professional Development Hours are available. This workshop is part of the ENTICE (Environment and Nature Training Institute for Conservation Education) program from the Illinois Department of Natural Resources. REGISTRATION FOR THIS WORKSHOP IS CLOSED. Come to this workshop to learn about the Mississippi River and some of the wildlife species that depend on it. We will talk about the traits needed to survive in a riverine environment and show you examples from native wildlife. We will discuss wildlife diversity in and around the river, too. Physical characteristics of the river and how they are important to wildlife and people will be explained. Although targeted to teachers of grades two through five, all educators are welcome to register for this workshop but may need to adapt the materials for their students, as appropriate. Supplemental resources will be provided. Professional Development Hours are available. This workshop is part of the ENTICE (Environment and Nature Training Institute for Conservation Education) program from the Illinois Department of Natural Resources. REGISTRATION FOR THIS WORKSHOP WILL CLOSE AT 8:00 A.M. ON THURSDAY, APRIL 25, 2019, OR SOONER IF THE MAXIMUM NUMBER OF REGISTRANTS IS REACHED. Time(s): 9:00 a.m. - 3:30 p.m.
Summer is a great season for young children to explore nature! There is so much to see and learn. Join us to discover what nature can tell us in summer. We’ll take a hike to put our knowledge to work and will feature the Field Trip Pack from the Illinois Department of Natural Resources (IDNR). We'll be incorporating several topics. Although targeted to grades prekindergarten through three, all educators are welcome to register for the workshop, but the information may need to be adapted, as appropriate. You’ll take away numerous resources to use with young children when learning about summer nature. Professional Development Hours are available. This workshop is part of the ENTICE (Environment and Nature Training Institute for Conservation Education) program from the IDNR. REGISTRATION FOR THIS WORKSHOP IS CLOSED. TO BE ADDED TO THE WAITING LIST, SEND A MESSAGE TO DNR.TEACHKIDS@ILLINOIS.GOV STATING THAT YOU WANT TO BE ADDED TO THE JUNE 8 WORKSHOP WAITING LIST. We will make a splash as we explore the fascinating organisms that live in Illinois wetlands. We will learn about their life history and identification and will put the skills to practice as we visit a wetland. Hands-on activities will be conducted, and you will receive supplemental educational resources. Although targeted to teachers of grades four through eight, other educators are welcome to register and attend the workshop but may need to adapt the materials as appropriate. Professional Development Hours are available. This workshop is part of the ENTICE (Environment and Nature Training Institute for Conservation Education) program from the IDNR. Asian carps are nonnative fishes that have invaded the waterways of Illinois and many other states. These species are responsible for enormous economic, recreational and environmental impacts. At this workshop, we will discuss their life history and provide data to quantify their effects. Containment methods being used in Illinois to keep Asian carps out of Lake Michigan will be examined. Student lessons relevant to Next Generation Science Standards MS-LS2-4 and HS-LS2-7 will be incorporated. Although targeted to middle school and high school educators, teachers of other grade levels are welcome to attend but may need to adapt the information as appropriate. Professional Development Hours are available. Sponsored by the Illinois Department of Natural Resources, this workshop is part of the ENTICE (Environment and Nature Training Institute for Conservation Education) program. Learn how insect pests have unique adaptations that can cause threats to our woodland ecosystem. We will show you how to conduct a tree inventory and risk analysis for future pest threats of trees in a given location. Identification and life history information for beneficial and invasive insects will be provided. Although targeted to teachers of grades six through eight, teachers of other grade levels are welcome to attend but may need to adapt the information as appropriate. Professional Development Hours are available. Sponsored by the Illinois Department of Natural Resources, this workshop is part of the ENTICE (Environment and Nature Training Institute for Conservation Education) program. Discover the hidden world of pollinators and their unique relationship with the plants they pollinate. Investigate native plants and their pollinators in action at the pollinator-focused planting exhibition. You will experience hands-on activities that explore how pollination works and how plants attract pollinators. Although targeted to teachers of grades kindergarten through four, all educators are welcome to register for this workshop but may need to adapt the materials for their students, as appropriate. Supplemental resources will be provided. Professional Development Hours are available. This workshop is part of the ENTICE (Environment and Nature Training Institute for Conservation Education) program from the Illinois Department of Natural Resources. Register at https://www.enticeworkshops.com. Time(s): 5:00 p.m. - 9:00 p.m. The only true flying mammals will be examined at this workshop for educators of grades one through four. Work with resource professionals as you learn about the life history of bats and their relationships to other species in the environment. Experience hands-on activities that can be instantly implemented into your curriculum. We will take a short drive to watch bats emerge from their roosts at dusk, too. Take home many Illinois-specific supplemental materials. Professional Development Hours are available. Educators of other grade levels are welcome to attend the workshop, but they will need to adapt the materials to the grade levels taught, as appropriate. This workshop is part of the ENTICE (Environment and Nature Training Institute for Conservation Education) program from the Illinois Department of Natural Resources. Lake Michigan is one of the greatest natural resources of Illinois. Come to this workshop and learn about the complex relationships between the lake and its inhabitants. Part of the workshop will be held indoors at the Peggy Notebaert Nature Museum, but we will also take a hike to conduct activities on the Lake Michigan shore, weather-permitting. Supplemental educational resources will be provided. Although targeted to teachers of grades kindergarten through four, other educators are welcome to register and attend the workshop but may need to adapt the materials as appropriate. Professional Development Hours are available. This workshop is part of the ENTICE (Environment and Nature Training Institute for Conservation Education) program from the Illinois Department of Natural Resources. The wonderful world of spiders will be explored in this workshop for educators of grades four through six. Jim Louderman of The Field Museum will lead us as we learn about the spiders found in Illinois, their habits and habitats. Go on a hike to find spiders in the wild. Take part in hands-on activities that can be instantly implemented into your classes. Numerous supplemental materials will be provided. Teachers of other grade levels are welcome to register for the workshop but may need to adapt the information as appropriate. Professional Development Hours are available. Sponsored by the Illinois Department of Natural Resources, this workshop is part of the ENTICE (Environment and Nature Training Institute for Conservation Education) program. 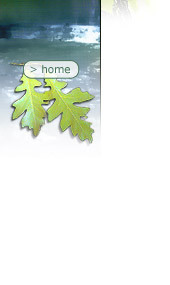 Learn about the interdependence between oak trees and the native Illinois species that rely on them. Discover dynamic interactions that play a vital role in ecosystem health. Learn outdoor activities that focus on producers, consumers and decomposers and how species are adapted to survive in oak woodlands. Although targeted to teachers of grades three through five, all educators are welcome to register for the workshop, but the information may need to be adapted, as appropriate. You will take away numerous resources to use. Professional Development Hours are available. This workshop is part of the ENTICE (Environment and Nature Training Institute for Conservation Education) program from the IDNR. The inclusion of engineering in the Next Generation Science Standards may seem scary, but there are many easy ways to add an engineering twist even in plant science and ecology. Come learn about biomimicry and the characteristics of plants and animals that inspire solutions to human problems. Investigate the physical properties of plant parts and the structures that animals create. Discover simple tips for setting up engineering challenges. Although targeted to teachers of grades three through eight, all educators are welcome to register for this workshop but may need to adapt the materials for their students, as appropriate. Supplemental resources will be provided. Professional Development Hours are available. This workshop is part of the ENTICE (Environment and Nature Training Institute for Conservation Education) program from the Illinois Department of Natural Resources. Fall is a great season for young children to explore nature! There is so much to see and learn. Join us to discover what nature can tell us in fall. We will take a hike to put our knowledge to work and will feature the Field Trip Pack from the Illinois Department of Natural Resources (IDNR). We will be incorporating animal tracks, animal signs, seeds and changes in leaves, too. We will show you how to support the teaching of several of the Illinois Early Learning and Development Standards for science and Next Generation Science Standards with your students. Although targeted to grades prekindergarten through two, all educators are welcome to register for the workshop, but the information may need to be adapted, as appropriate. You will take away numerous resources to use with young children when learning about nature. Professional Development Hours are available. This workshop is part of the ENTICE (Environment and Nature Training Institute for Conservation Education) program from the IDNR. Time(s): 9:30 a.m. - 3:30 p.m.
Often when exploring nature, instead of seeing an animal, we find what it left behind. Join us in this exploration of animal signs and how they relate to habitats. We will be practicing our skills on an outdoor field trip, too. We will show you how to incorporate the topic into your lessons and provide resources to help you do so. Although targeted to teachers of grades prekindergarten through four, other educators are welcome to register and attend the workshop but may need to adapt the materials as appropriate. Professional Development Hours are available. This workshop is part of the ENTICE (Environment and Nature Training Institute for Conservation Education) program from the Illinois Department of Natural Resources. Protein synthesis is a topic that many students will not be interested in studying, yet you can make it relevant by using this unit. Prion diseases are caused by errors in protein synthesis. One of those diseases, chronic wasting disease, is affecting the white-tailed deer population in Illinois. During this workshop for middle school and high school teachers, you will preview the six lessons and activities, video and other materials in the unit, ?Prying into Prions: Investigating Chronic Wasting Disease.? You will receive this DVD unit and other supplemental materials. The information from this workshop can be used in teaching about protein synthesis, genetics, DNA replication, wildlife management and other topics. Professional Development Hours are available. This workshop is part of the ENTICE (Environment and Nature Training Institute for Conservation Education) program from the Illinois Department of Natural Resources. Flutter in and join other educators of grades prekindergarten through four as we are introduced to the butterflies of Illinois! Butterfly life history, identification, conservation and adaptations will be discussed. Information on developing butterfly habitat will also be included. Learn about Monarch Watch and other butterfly conservation programs. Correlations between the information presented and Illinois Early Learning and Development Standards and Next Generation Science Standards will be addressed. Supplemental educational resources will be provided. Professional Development Hours are available. Teachers of other grade levels are welcome to register for this workshop but may need to adapt the materials for their students, as appropriate. Sponsored by the Illinois Department of Natural Resources, this workshop is part of the ENTICE (Environment and Nature Training Institute for Conservation Education) program. This workshop for educators of grades prekindergarten through two will provide you with the information and resources that you need to successfully teach about and observe wildlife. We?ll focus on the life history of common wildlife species, and we?ll go on a hike to look for wildlife and their signs. You?ll receive training in using basic equipment. We?ll also discuss developing wildlife habitat on your school grounds. We?ll show you how to support the teaching of several of the Illinois Early Learning and Development Standards for science and Next Generation Science Standards with your students. You?ll take away numerous resources to use with young children when learning about nature. Professional Development Hours are available. Sponsored by the Illinois Department of Natural Resources, this workshop is part of the ENTICE (Environment and Nature Training Institute for Conservation Education) program. Asian carps are nonnative fishes that have invaded the waterways of Illinois and many other states. These species are responsible for enormous economic, recreational and environmental impacts. At this workshop, we?ll provide an introduction to their life history as well as data to quantify their effects. Containment methods being used in Illinois to keep Asian carps out of Lake Michigan will be discussed. Student lessons relevant to Next Generation Science Standards MS-LS2-4 and HS-LS2-7 will be incorporated. Although targeted to middle school and high school educators, teachers of other grade levels are welcome to attend but may need to adapt the information as appropriate. Professional Development Hours are available. Sponsored by the Illinois Department of Natural Resources, this workshop is part of the ENTICE (Environment and Nature Training Institute for Conservation Education) program. How much do you really know about squirrels? Come to this workshop and learn about the life history of Illinois? tree squirrels. We?ll go for a hike to observe squirrels and evidence of their presence. We?ll look at how you can use squirrel observations to help you meet some of the Illinois Early Learning and Development Standards in science and Next Generation Science Standards and will introduce you to Project Squirrel, a citizen science program that can be incorporated into your teaching. Although targeted to teachers of grades prekindergarten, kindergarten, one, two and four, all educators are welcome to register for this workshop but may need to adapt the materials for their students, as appropriate. Supplemental resources will be provided. Professional Development Hours are available. This workshop is part of the ENTICE (Environment and Nature Training Institute for Conservation Education) program from the Illinois Department of Natural Resources. Educators of grades prekindergarten through eight are invited to register for this workshop to learn about the hawks, owls, vultures, falcons and eagles of Illinois at the Illinois Raptor Center in Decatur. Life history and identification information will be provided. Staff from the Illinois Raptor Center will have live raptors to observe, too. You will participate in educational activities related to raptors and will receive many resources to help you incorporate the topic into your curriculum. This workshop is part of the ENTICE (Environment and Nature Training Institute for Conservation Education) program from the Illinois Department of Natural Resources. Professional Development Hours are available. Teachers of other grade levels are welcome to register and attend the workshop but may need to adapt the information as appropriate. Join us for this workshop as we learn about the life history and identification of Illinois? 17 species of turtles. We will take a hike to look for turtles, and you will participate in hands-on, educational activities. Resources will be provided to help you incorporate the topic into your curriculum. Although targeted to teachers of grades prekindergarten through four, educators of other grade levels are welcome to register for the workshop but may need to adapt the information and activities, as appropriate. Correlations to relevant Next Generation Science Standards and Illinois Early Learning and Development Standards will be provided and discussed. Professional Development Hours are available. Sponsored by the Illinois Department of Natural Resources, this workshop is part of the ENTICE (Environment and Nature Training Institute for Conservation Education) program. How?s your habitat? Join us to learn how you and your students can take action to improve wildlife habitat on your school grounds. Educators of grades prekindergarten through middle school will learn basic habitat design, development and maintenance techniques. Become aware of grant opportunities and obtain supplemental materials to help you get started with your own schoolyard habitat development. Staff from the University of Illinois Extension?s Horticultural Program at the Logan-Menard-Sangamon unit office will be featured. Professional Development Hours are available. This workshop is part of the ENTICE (Environment and Nature Training Institute for Conservation Education) program from the Illinois Department of Natural Resources. Protein synthesis is a topic that many students will not be interested in studying, yet you can make it relevant by using this unit. Prion diseases are caused by errors in protein synthesis. One of those diseases, chronic wasting disease, is affecting the white-tailed deer population in Illinois. During this workshop for middle school and high school teachers, you will preview the six lessons and activities, video and other materials in the unit, ?Prying into Prions: Investigating Chronic Wasting Disease.? You'll receive this DVD unit and other supplemental materials. The information from this workshop can be used in teaching about protein synthesis, genetics, DNA replication, wildlife management and other topics. Professional Development Hours are available. This workshop is part of the ENTICE (Environment and Nature Training Institute for Conservation Education) program from the Illinois Department of Natural Resources. Course Name: Ecosystems: Producers, Consumers, Decomposers, Oh My! Crawl, slither, hop or branch out to The Morton Arboretum and join us for this workshop about the plants and animals that make up an ecosystem. Designed for educators of grades pre-kindergarten through four, you will learn about the flora and fauna of Illinois? ecosystems and receive many Illinois-specific resources. Habitat studies, identification, relationships and interdependence will be among the topics covered. Professional Development Hours are available. Teachers of other grade levels are welcome to register for the workshop but may need to adapt the information, as appropriate. This workshop is part of the ENTICE (Environment and Nature Training Institute for Conservation Education) program from the Illinois Department of Natural Resources. The only true flying mammals will be examined at this workshop for educators of grades one through four. Work with resource professionals as you learn about the life history of bats and their relationships to other species in the environment. Experience hands-on activities that can be instantly implemented into your curriculum. We?ll go outdoors at dusk to observe bats, too. Take home many Illinois-specific supplemental materials. Professional Development Hours are available. Educators of other grade levels are welcome to attend the workshop, but they will need to adapt the materials to the grade levels taught, as appropriate. This workshop is part of the ENTICE (Environment and Nature Training Institute for Conservation Education) program from the Illinois Department of Natural Resources. What animals are invertebrates, have a segmented body, an exoskeleton and paired, jointed appendages? They are arthropods! They include insects, crustaceans, spiders, centipedes, millipedes and their relatives. Join us for this introduction to the types of arthropods present in Illinois. We will discuss their diversity, classification, life cycles, adaptations and importance to other organisms. Learn how to incorporate them into your lessons to support the teaching of Next Generation Science Standards and Illinois Early Learning and Development Standards and take part in hands-on activities. Supplemental educational resources will be provided. Although targeted to grades prekindergarten through four, all educators are welcome to register for the workshop, but the information may need to be adapted, as appropriate. Professional Development Hours are available. This workshop is part of the ENTICE (Environment and Nature Training Institute for Conservation Education) program from the Illinois Department of Natural Resources. The slimy and scaly creatures of Illinois will be featured in this workshop for educators of grades prekindergarten through eight. We?ll learn about their life history and will take a hike to look for reptiles and amphibians. We?ll provide you with resources and activities. Regulations regarding keeping these animals in the classroom will also be discussed. Teachers of other grade levels are welcome to register for this workshop but may need to adapt the materials for their students, as appropriate. Professional Development Hours are available. Correlations between the information presented and Illinois Early Learning and Development Standards and Next Generation Science Standards will be addressed. This workshop is part of the ENTICE (Environment and Nature Training Institute for Conservation Education) program from the Illinois Department of Natural Resources. Bring your sunny disposition to The Morton Arboretum to learn how energy moves through an ecosystem and what plants and animals need to survive. Energy, cycles, producers, consumers, decomposers and adaptations will be among the topics covered. Designed for teachers of grades five through eight, educators of other grade levels are welcome to register for the workshop but may need to adapt the information, as appropriate. Illinois-specific resources will be provided. Professional Development Hours are available. This workshop is part of the ENTICE (Environment and Nature Training Institute for Conservation Education) program from the Illinois Department of Natural Resources. Join us for this exploration of wildlife conservation practices in the state. We?ll discuss what wildlife conservation is, how it is implemented and how it has changed over time. We?ll look at how changes in the environment can affect wildlife conservation and how people and legislation affect wildlife conservation, too. Correlations between the information presented and Next Generation Science Standards will be addressed. Although targeted to teachers of grades three through middle school, teachers of other grade levels are welcome to register for and attend this workshop but may need to adapt the information for their students, as appropriate. Supplemental educational resources will be provided. Professional Development Hours are available. This workshop is part of the ENTICE (Environment and Nature Training Institute for Conservation Education) program from the Illinois Department of Natural Resources. ENTICE workshops provide natural resources information, instructional methods and supplemental educational materials. When incorporated into lessons with students, the materials provided encourage and promote stewardship of our state’s natural resources. ENTICE also offers participants the opportunity to network with other educators in a friendly, cooperative, learning environment. Illinois ENTICE provides the following items for participants. for teachers, Professional Development Hours. Workshops are open to all educators and are designed for targeted grade levels. Maximum enrollment for each course is 30 participants. Have questions? Contact the IDNR Division of Education at dnr.teachkids@illinois.gov or 217-524-4126.